Oh Dear! I was really looking forward to writing this exiting post! 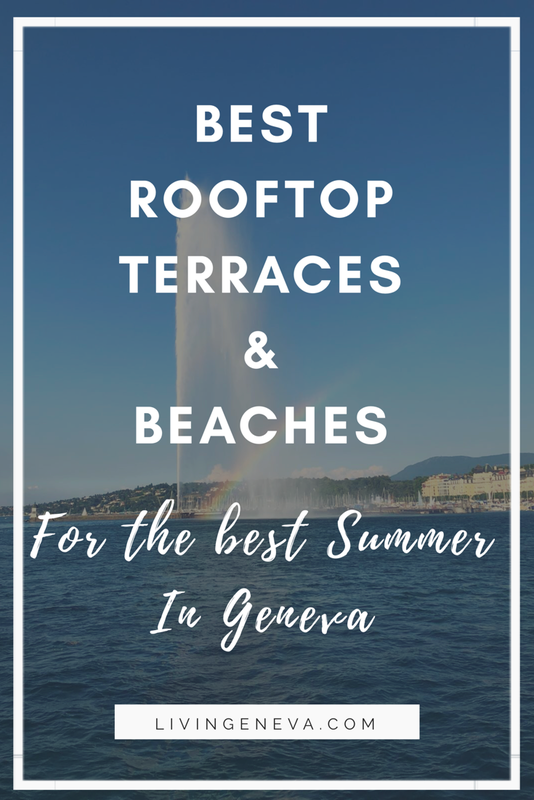 For the first time since I live in Geneva I felt like a true luxury tourist IN GENEVA jijiji it was so much fun and what I appreciated the most was the external vision of my own city. It was also the first time since I started the blog that I had the privilege to stay in a hotel and give a full review of my experience in it. 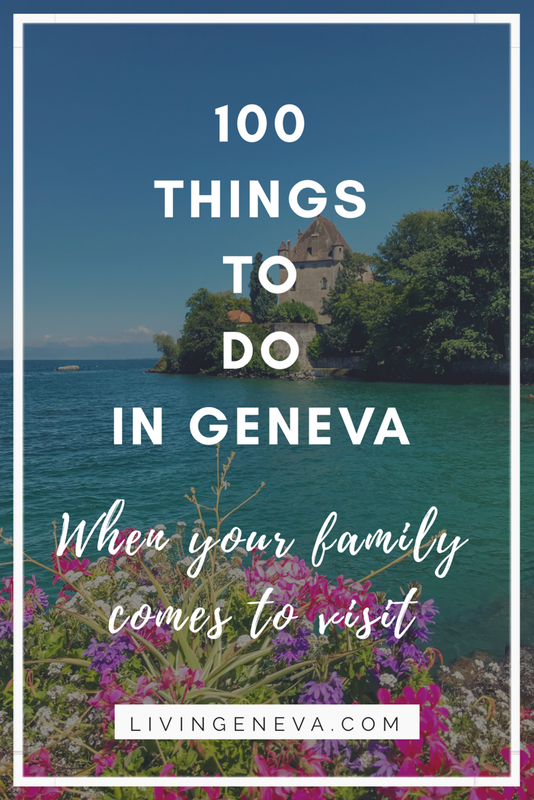 LivinGeneva was invited to spend a night at Le Richemond, enjoy their breakfast and then a treatment at their Spa by Sisley! To give you a little background Le Richemond is part of the prestigious Dorchester Collection hotels, such is Plaza Athénée in Paris, The Dorchester in London, Principe de Savoia in Milan and the Hotel Eden in Rome, among others. This is a synonym of luxury accommodation, personalised service and with historic buildings in outstanding locations, each hotel mergers into the culture of its city. Friday after work I arrived to Le Richemond to do my check-in; I wanted to live the full experience of a weekend getaway. Therefore, I did not go back home after work, I had my luggage ready with me! I arrived with my little red suitcase and headed to the reception, they asked me if my trip had been good …. I smiled inside of me and answer “Yes, very well thank you” (the tram was very pleasant I have to say, thank you for asking 🙂 ). After the refreshment Geraldine walked me to my room… the big surprise! I was left on my own to explore my room, and I was very exited about it. I had to be careful to not touch everything before taking the pictures I wanted for the post. The most amazing detail was these cute Macarons with, guess what???? LivinGeneva’s logo on it! And that’s not it, I also had a personal note from the General Manager to welcome me to the hotel! It really felt like a super special welcome! My favorite part of the room was the marquetry on the walls and the furniture (like the picture below), this gives a sense of modern coziness to the room. DEFINE: Marquetry is the inlaid work made from small pieces of coloured wood or other materials, used for the decoration of furniture. Furthermore, we were lucky to have nice weather to take scenery pictures of the view and the lake <3 Rainbows were in meeting too!! [/av_textblock] [av_hr class='invisible' height='50' shadow='no-shadow' position='center' custom_border='av-border-thin' custom_width='50px' custom_border_color='' custom_margin_top='30px' custom_margin_bottom='30px' icon_select='yes' custom_icon_color='' icon='ue808' font='entypo-fontello'] [av_image src='http://livingeneva.com/wp-content/uploads/2015/10/IMG_4502-1024x683-1.jpg' attachment='6353' attachment_size='full' align='center' styling='' hover='' link='' target='' caption='' font_size='' appearance='' overlay_opacity='0.4' overlay_color='#000000' overlay_text_color='#ffffff' animation='no-animation'][/av_image] [av_hr class='invisible' height='50' shadow='no-shadow' position='center' custom_border='av-border-thin' custom_width='50px' custom_border_color='' custom_margin_top='30px' custom_margin_bottom='30px' icon_select='yes' custom_icon_color='' icon='ue808' font='entypo-fontello'] [av_image src='http://livingeneva.com/wp-content/uploads/2015/10/IMG_4509-650x1024-1.jpg' attachment='6354' attachment_size='full' align='center' styling='' hover='' link='' target='' caption='' font_size='' appearance='' overlay_opacity='0.4' overlay_color='#000000' overlay_text_color='#ffffff' animation='no-animation'][/av_image] [av_hr class='invisible' height='50' shadow='no-shadow' position='center' custom_border='av-border-thin' custom_width='50px' custom_border_color='' custom_margin_top='30px' custom_margin_bottom='30px' icon_select='yes' custom_icon_color='' icon='ue808' font='entypo-fontello'] [av_textblock size='' font_color='' color=''] The stay was very nice from the beginning to the end, they are very careful of every detail and try to make an "at home" feeling. The fresh flowers bring a touch of nature to the room and go together well with the trees we see from the Brunswick garden. The bathroom is very spacious and covered with white marble, this makes an immediate impression of a spotless place. Inside the bathroom you have both the bathtub and a shower for major comfort and a huge mirror to look at yourself for hours 🙂 HI THERE! [/av_textblock] [av_hr class='invisible' height='50' shadow='no-shadow' position='center' custom_border='av-border-thin' custom_width='50px' custom_border_color='' custom_margin_top='30px' custom_margin_bottom='30px' icon_select='yes' custom_icon_color='' icon='ue808' font='entypo-fontello'] [av_image src='http://livingeneva.com/wp-content/uploads/2015/10/IMG_4460-1024x683-1.jpg' attachment='6355' attachment_size='full' align='center' styling='' hover='' link='' target='' caption='' font_size='' appearance='' overlay_opacity='0.4' overlay_color='#000000' overlay_text_color='#ffffff' animation='no-animation'][/av_image] [av_hr class='invisible' height='50' shadow='no-shadow' position='center' custom_border='av-border-thin' custom_width='50px' custom_border_color='' custom_margin_top='30px' custom_margin_bottom='30px' icon_select='yes' custom_icon_color='' icon='ue808' font='entypo-fontello'] [av_textblock size='' font_color='' color=''] The bedding was amazing, super comfortable and up to the standards of the hotel! Continuing with the experience, waking up in Geneva but not at home felt a little bit strange, but in a good way. It felt like being spoiled for a pyjama party in a Clueless movie. I woke up super early (I know I did not sleep until 2pm ...even though the bed was pulling me in) to check the breakfast before anyone else; I love to do this in order to get the real picture of the displays, the choices and the intact food is always soooo photogenic! Here are some of the pictures and video! [/av_textblock] [av_hr class='invisible' height='50' shadow='no-shadow' position='center' custom_border='av-border-thin' custom_width='50px' custom_border_color='' custom_margin_top='30px' custom_margin_bottom='30px' icon_select='yes' custom_icon_color='' icon='ue808' font='entypo-fontello'] [av_video src='https://youtu.be/B1b5M5Hdqjk' format='16-9' width='16' height='9'] [av_hr class='invisible' height='50' shadow='no-shadow' position='center' custom_border='av-border-thin' custom_width='50px' custom_border_color='' custom_margin_top='30px' custom_margin_bottom='30px' icon_select='yes' custom_icon_color='' icon='ue808' font='entypo-fontello'] [av_image src='http://livingeneva.com/wp-content/uploads/2015/10/IMG_4538-1024x683-1.jpg' attachment='6356' attachment_size='full' align='center' styling='' hover='' link='' target='' caption='' font_size='' appearance='' overlay_opacity='0.4' overlay_color='#000000' overlay_text_color='#ffffff' animation='no-animation'][/av_image] [av_hr class='invisible' height='50' shadow='no-shadow' position='center' custom_border='av-border-thin' custom_width='50px' custom_border_color='' custom_margin_top='30px' custom_margin_bottom='30px' icon_select='yes' custom_icon_color='' icon='ue808' font='entypo-fontello'] [av_image src='http://livingeneva.com/wp-content/uploads/2015/10/IMG_4544-1024x683-1.jpg' attachment='6357' attachment_size='full' align='center' styling='' hover='' link='' target='' caption='' font_size='' appearance='' overlay_opacity='0.4' overlay_color='#000000' overlay_text_color='#ffffff' animation='no-animation'][/av_image] [av_hr class='invisible' height='50' shadow='no-shadow' position='center' custom_border='av-border-thin' custom_width='50px' custom_border_color='' custom_margin_top='30px' custom_margin_bottom='30px' icon_select='yes' custom_icon_color='' icon='ue808' font='entypo-fontello'] [av_image src='http://livingeneva.com/wp-content/uploads/2015/10/IMG_4545-1024x683-1.jpg' attachment='6358' attachment_size='full' align='center' styling='' hover='' link='' target='' caption='' font_size='' appearance='' overlay_opacity='0.4' overlay_color='#000000' overlay_text_color='#ffffff' animation='no-animation'][/av_image] [av_hr class='invisible' height='50' shadow='no-shadow' position='center' custom_border='av-border-thin' custom_width='50px' custom_border_color='' custom_margin_top='30px' custom_margin_bottom='30px' icon_select='yes' custom_icon_color='' icon='ue808' font='entypo-fontello'] [av_image src='http://livingeneva.com/wp-content/uploads/2015/10/IMG_4546-1024x683-1.jpg' attachment='6359' attachment_size='full' align='center' styling='' hover='' link='' target='' caption='' font_size='' appearance='' overlay_opacity='0.4' overlay_color='#000000' overlay_text_color='#ffffff' animation='no-animation'][/av_image] [av_hr class='invisible' height='50' shadow='no-shadow' position='center' custom_border='av-border-thin' custom_width='50px' custom_border_color='' custom_margin_top='30px' custom_margin_bottom='30px' icon_select='yes' custom_icon_color='' icon='ue808' font='entypo-fontello'] [av_image src='http://livingeneva.com/wp-content/uploads/2015/10/IMG_4552-1024x683-1.jpg' attachment='6360' attachment_size='full' align='center' styling='' hover='' link='' target='' caption='' font_size='' appearance='' overlay_opacity='0.4' overlay_color='#000000' overlay_text_color='#ffffff' animation='no-animation'][/av_image] [av_hr class='invisible' height='50' shadow='no-shadow' position='center' custom_border='av-border-thin' custom_width='50px' custom_border_color='' custom_margin_top='30px' custom_margin_bottom='30px' icon_select='yes' custom_icon_color='' icon='ue808' font='entypo-fontello'] [av_image src='http://livingeneva.com/wp-content/uploads/2015/10/IMG_4549-1024x683-1.jpg' attachment='6361' attachment_size='full' align='center' styling='' hover='' link='' target='' caption='' font_size='' appearance='' overlay_opacity='0.4' overlay_color='#000000' overlay_text_color='#ffffff' animation='no-animation'][/av_image] [av_hr class='invisible' height='50' shadow='no-shadow' position='center' custom_border='av-border-thin' custom_width='50px' custom_border_color='' custom_margin_top='30px' custom_margin_bottom='30px' icon_select='yes' custom_icon_color='' icon='ue808' font='entypo-fontello'] [av_image src='http://livingeneva.com/wp-content/uploads/2015/10/IMG_4557-683x1024-1.jpg' attachment='6362' attachment_size='full' align='center' styling='' hover='' link='' target='' caption='' font_size='' appearance='' overlay_opacity='0.4' overlay_color='#000000' overlay_text_color='#ffffff' animation='no-animation'][/av_image] [av_hr class='invisible' height='50' shadow='no-shadow' position='center' custom_border='av-border-thin' custom_width='50px' custom_border_color='' custom_margin_top='30px' custom_margin_bottom='30px' icon_select='yes' custom_icon_color='' icon='ue808' font='entypo-fontello'] [av_image src='http://livingeneva.com/wp-content/uploads/2015/10/IMG_4576-1024x683-1.jpg' attachment='6363' attachment_size='full' align='center' styling='' hover='' link='' target='' caption='' font_size='' appearance='' overlay_opacity='0.4' overlay_color='#000000' overlay_text_color='#ffffff' animation='no-animation'][/av_image] [av_hr class='invisible' height='50' shadow='no-shadow' position='center' custom_border='av-border-thin' custom_width='50px' custom_border_color='' custom_margin_top='30px' custom_margin_bottom='30px' icon_select='yes' custom_icon_color='' icon='ue808' font='entypo-fontello'] [av_textblock size='' font_color='' color=''] I actually cheated a little bit and came down around 7am to take pictures, then went up to the room blogged a little bit in the cozy living room and then came down around 10 to actually have breakfast ;). The pictures below are of my breakfast! [/av_textblock] [av_hr class='invisible' height='50' shadow='no-shadow' position='center' custom_border='av-border-thin' custom_width='50px' custom_border_color='' custom_margin_top='30px' custom_margin_bottom='30px' icon_select='yes' custom_icon_color='' icon='ue808' font='entypo-fontello'] [av_image src='http://livingeneva.com/wp-content/uploads/2015/10/IMG_4590-1024x683-1.jpg' attachment='6364' attachment_size='full' align='center' styling='' hover='' link='' target='' caption='' font_size='' appearance='' overlay_opacity='0.4' overlay_color='#000000' overlay_text_color='#ffffff' animation='no-animation'][/av_image] [av_hr class='invisible' height='50' shadow='no-shadow' position='center' custom_border='av-border-thin' custom_width='50px' custom_border_color='' custom_margin_top='30px' custom_margin_bottom='30px' icon_select='yes' custom_icon_color='' icon='ue808' font='entypo-fontello'] [av_image src='http://livingeneva.com/wp-content/uploads/2015/10/IMG_4589-1024x683-1.jpg' attachment='6365' attachment_size='full' align='center' styling='' hover='' link='' target='' caption='' font_size='' appearance='' overlay_opacity='0.4' overlay_color='#000000' overlay_text_color='#ffffff' animation='no-animation'][/av_image] [av_hr class='invisible' height='50' shadow='no-shadow' position='center' custom_border='av-border-thin' custom_width='50px' custom_border_color='' custom_margin_top='30px' custom_margin_bottom='30px' icon_select='yes' custom_icon_color='' icon='ue808' font='entypo-fontello'] [av_image src='http://livingeneva.com/wp-content/uploads/2015/10/IMG_4587-1024x683-1.jpg' attachment='6366' attachment_size='full' align='center' styling='' hover='' link='' target='' caption='' font_size='' appearance='' overlay_opacity='0.4' overlay_color='#000000' overlay_text_color='#ffffff' animation='no-animation'][/av_image] [av_hr class='invisible' height='50' shadow='no-shadow' position='center' custom_border='av-border-thin' custom_width='50px' custom_border_color='' custom_margin_top='30px' custom_margin_bottom='30px' icon_select='yes' custom_icon_color='' icon='ue808' font='entypo-fontello'] [av_image src='http://livingeneva.com/wp-content/uploads/2015/10/IMG_4586-1024x683-1.jpg' attachment='6367' attachment_size='full' align='center' styling='' hover='' link='' target='' caption='' font_size='' appearance='' overlay_opacity='0.4' overlay_color='#000000' overlay_text_color='#ffffff' animation='no-animation'][/av_image] [av_hr class='invisible' height='50' shadow='no-shadow' position='center' custom_border='av-border-thin' custom_width='50px' custom_border_color='' custom_margin_top='30px' custom_margin_bottom='30px' icon_select='yes' custom_icon_color='' icon='ue808' font='entypo-fontello'] [av_image src='http://livingeneva.com/wp-content/uploads/2015/10/IMG_4578-683x1024-1.jpg' attachment='6368' attachment_size='full' align='center' styling='' hover='' link='' target='' caption='' font_size='' appearance='' overlay_opacity='0.4' overlay_color='#000000' overlay_text_color='#ffffff' animation='no-animation'][/av_image] [av_hr class='invisible' height='50' shadow='no-shadow' position='center' custom_border='av-border-thin' custom_width='50px' custom_border_color='' custom_margin_top='30px' custom_margin_bottom='30px' icon_select='yes' custom_icon_color='' icon='ue808' font='entypo-fontello'] [av_textblock size='' font_color='' color=''] I had the waffles with Nutella, I just could not resist the fact of having so much Nutella for myself! I do not have at home (for obvious reasons) so every time I have the option I take it! My husband had the eggs Benedict with salmon and they were a blast, the poached eggs were perfectly cooked and the taste was mixing well together. In general the breakfast was very good! The fruit is fresh, the bread is tasty and the capuccinos are super fun with a cocoa R in it ↓ [/av_textblock] [av_hr class='invisible' height='50' shadow='no-shadow' position='center' custom_border='av-border-thin' custom_width='50px' custom_border_color='' custom_margin_top='30px' custom_margin_bottom='30px' icon_select='yes' custom_icon_color='' icon='ue808' font='entypo-fontello'] [av_image src='http://livingeneva.com/wp-content/uploads/2015/10/f2503a1be2214db9b9c8aa37fcadffc5-1.png' attachment='6369' attachment_size='full' align='center' styling='' hover='' link='' target='' caption='' font_size='' appearance='' overlay_opacity='0.4' overlay_color='#000000' overlay_text_color='#ffffff' animation='no-animation'][/av_image] [av_hr class='invisible' height='50' shadow='no-shadow' position='center' custom_border='av-border-thin' custom_width='50px' custom_border_color='' custom_margin_top='30px' custom_margin_bottom='30px' icon_select='yes' custom_icon_color='' icon='ue808' font='entypo-fontello'] [av_textblock size='' font_color='' color=''] My overall stay was a dream come true, I had never been an actual "tourist" in Geneva and I really loved the feeling of waking up in this city. Believe it or not, hotels can be very personal and with the right touches you can feel "at home". 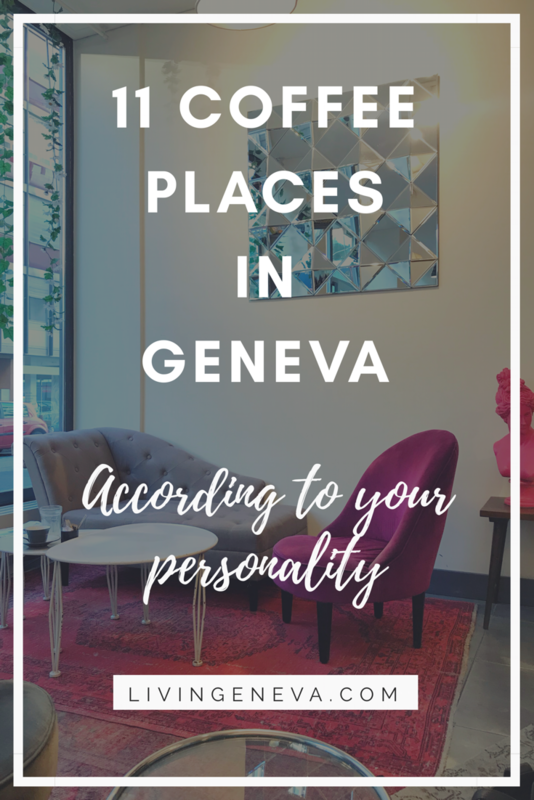 I was super happy with my stay and I would recommend this hotel with my eyes closed to any person visiting Geneva! I can't wait to discover other hotels from the Dorchester Collection! Thank you again for all Le Richemond team for this outstanding stay! I leave you with some more pictures below and all the important information. PS- I was also at the Spa by Sisley, but will do a separate post for this one! Have a lovely day!! Price for rooms: From 455 CHF for a Superior Room. Check prices, availabilities and special packages directly on their webpage.